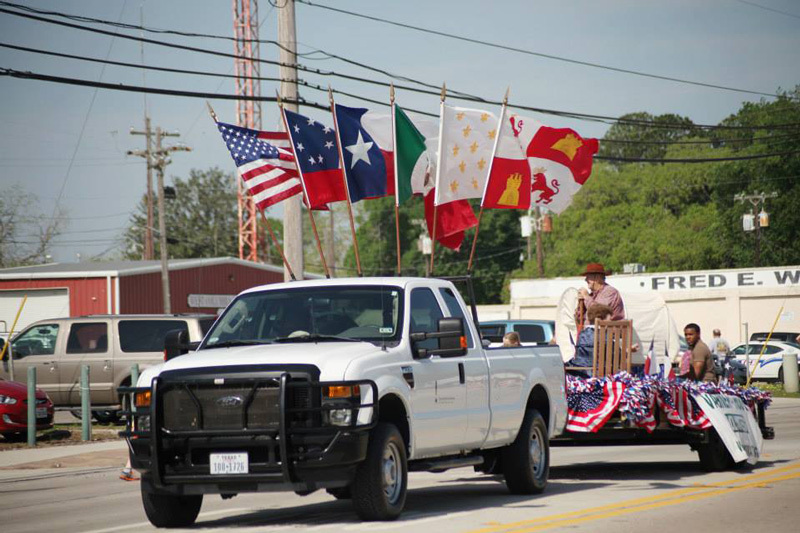 In April, Varner-Hogg Plantation State Historic Site celebrated the 18-minute battle that won Texas its independence from Mexico in 1836, known today as San Jacinto Day. The day got off to a good start with beautiful spring weather, which set the stage for our festivities. Prior to the event, the Varner-Hogg Plantation Friends and Volunteers group won “Most Original Entry” for their float in West Columbia’s 60th Annual San Jacinto Day Parade. 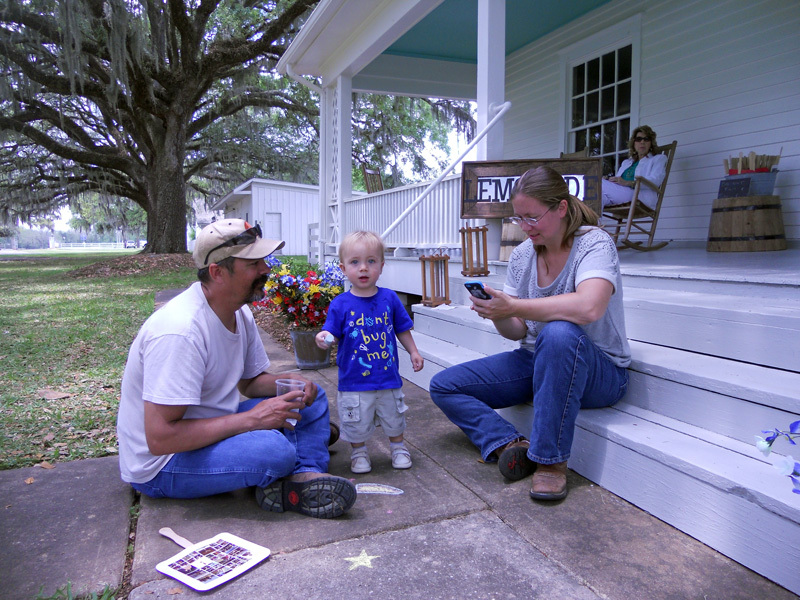 As visitors walked through the gates to Varner-Hogg Plantation, they were greeted by staff and a view of the historic site in full bloom for spring. 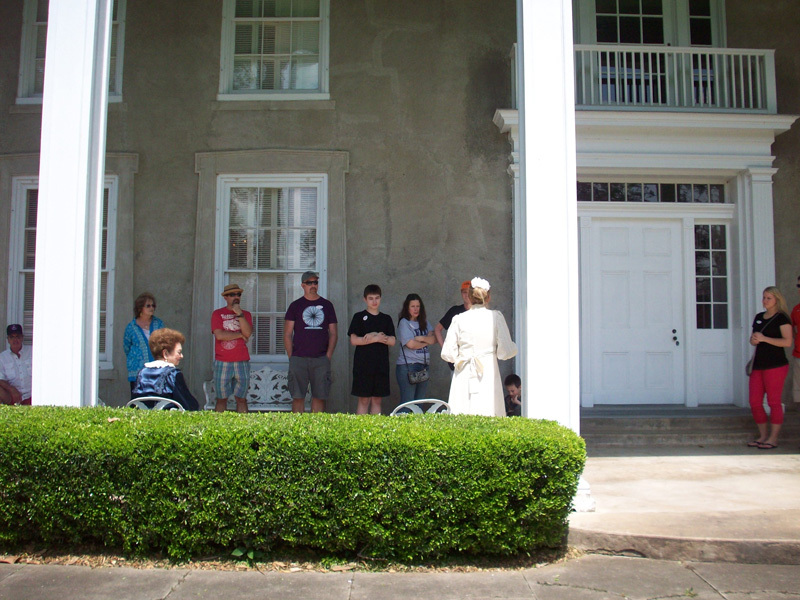 Guests were treated to tours of the plantation house by Friends and Volunteers dressed in period costume. 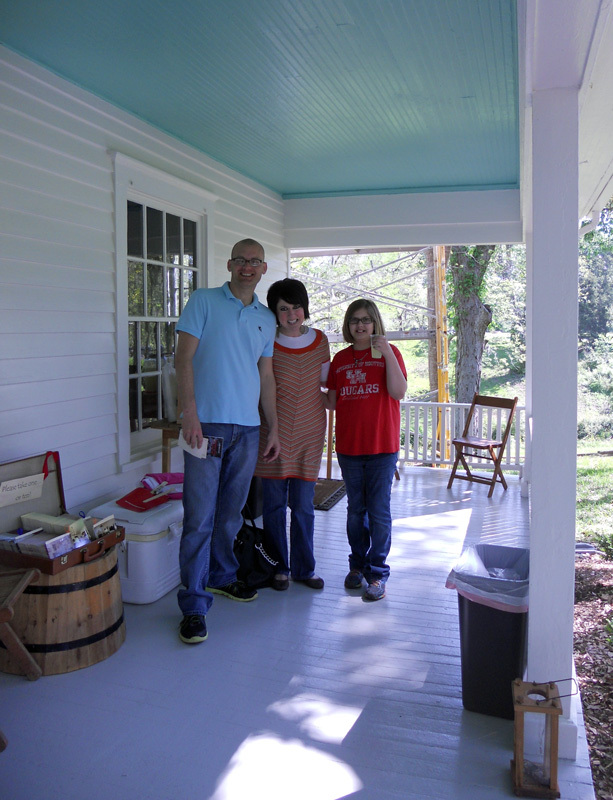 Among the blooming magnolias, roses, and wildflowers, visitors enjoyed sipping lemonade and relaxing on the front porch of Miss Ima’s cottage. Some of our younger guests helped decorate the site by creating chalk artwork on the sidewalks. This event would not have been possible without the support of our Friends and Volunteers as well as our community. Special thanks to our amazing staff who worked above and beyond to make this event a success! The Varner-Hogg Plantation Friends and Volunteers group won “Most Original Entry” for their float in West Columbia’s 60th Annual San Jacinto Day Parade.